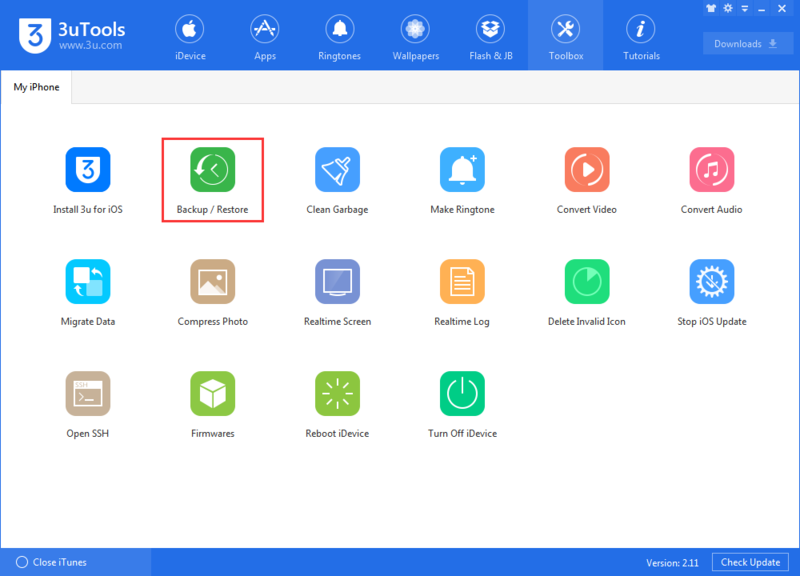 Previously we have posted that How to Fix "Fail to Restore backups of iDevice on 3uTools? Let’s keep reading and figure out the solutions for some of your files. 3uTools could help you export some backed up files (eg: photos, notes, contacts...) to your PC, and let you import to your iDevice again. Please noted that you should have backed up iDevice ( Go Toolbox- "Backup/ Restore" function) and failed in 3uTools, or you can't see anything as below. 1. 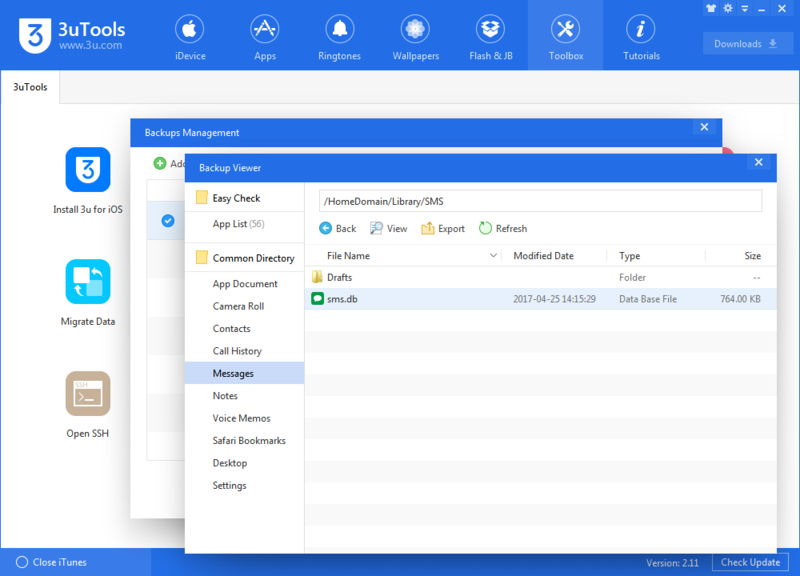 Head to "Backup management" in Backup/Restore section of 3uTools. 2. Choose your backup file and click "View Now"
a. 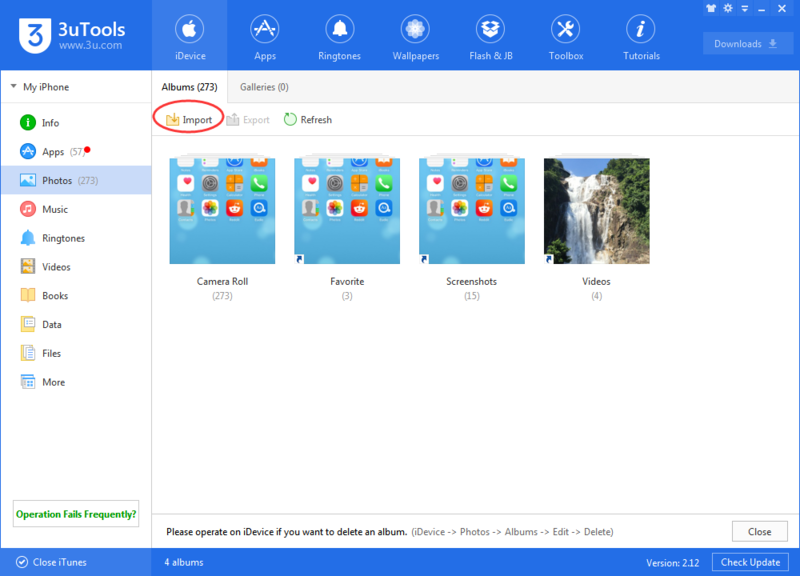 For example, when you click "Camera Roll", then you can see some folders on your iDevices which 3uTools could help you export all backed up photos to your PC, and import to your iDevice again. You could import backed up photos from computer to your iDevice again. c. You are able to view your "Messages" in "Backup management "and export it as a PDF formate file, only double click sms.db in SMS section. 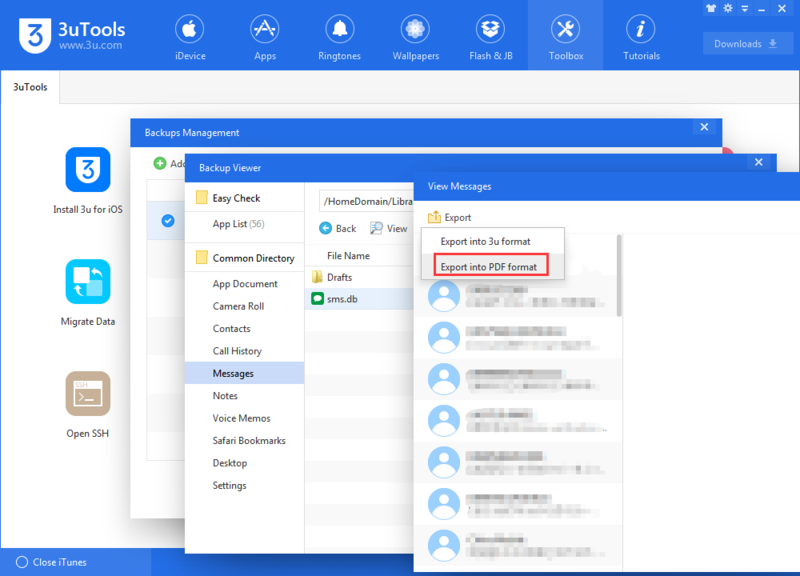 Now you should see the one of the options is "Export into PDF format"
So please try to use this method if you have failed to back up your iDevice in 3uTools, please let us know if you have any problem of 3uTools. 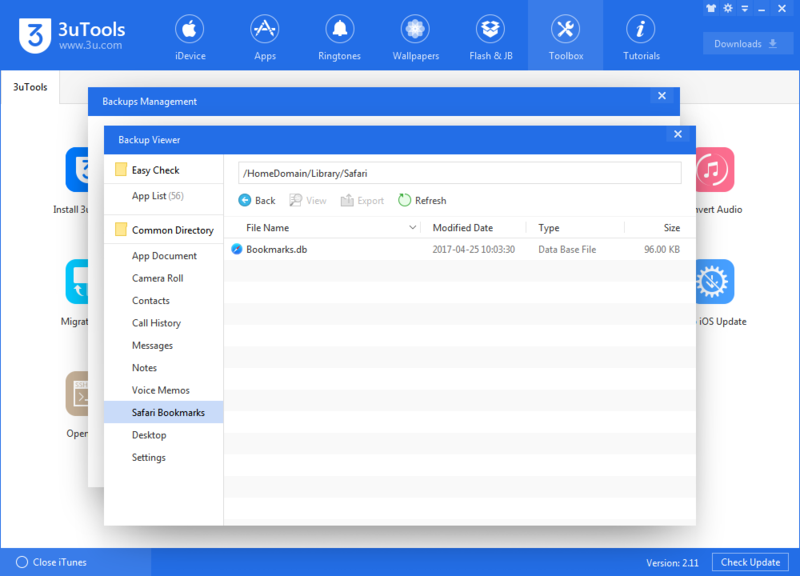 How to Use Back up and Restore in 3uTools? How to use Customized Backup & Customized Restore? 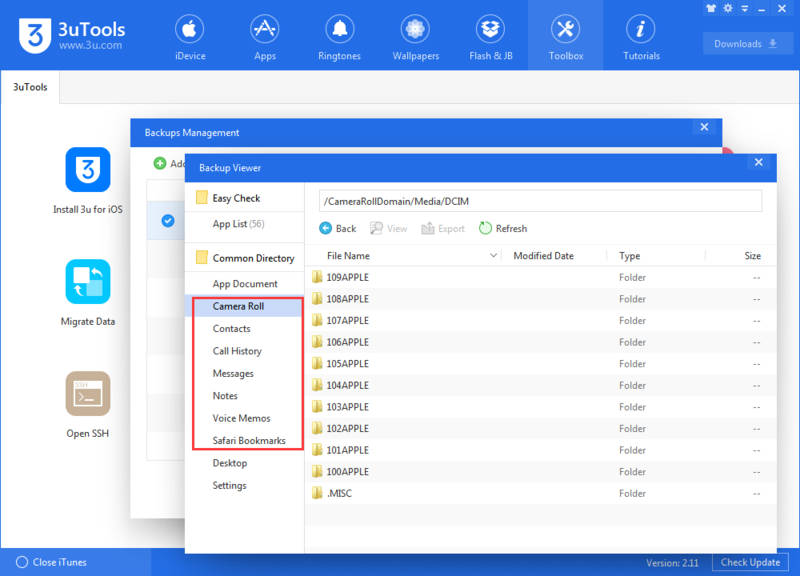 How to Manage iPhone's Files? 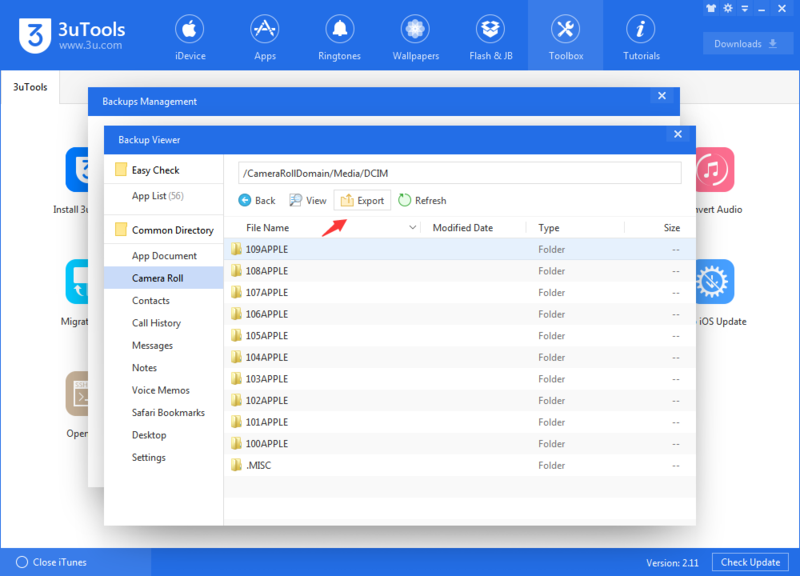 How to Fix "Fail to Restore Backups of iDevice" on 3uTools? How to Back up Notes Using 3uTools? 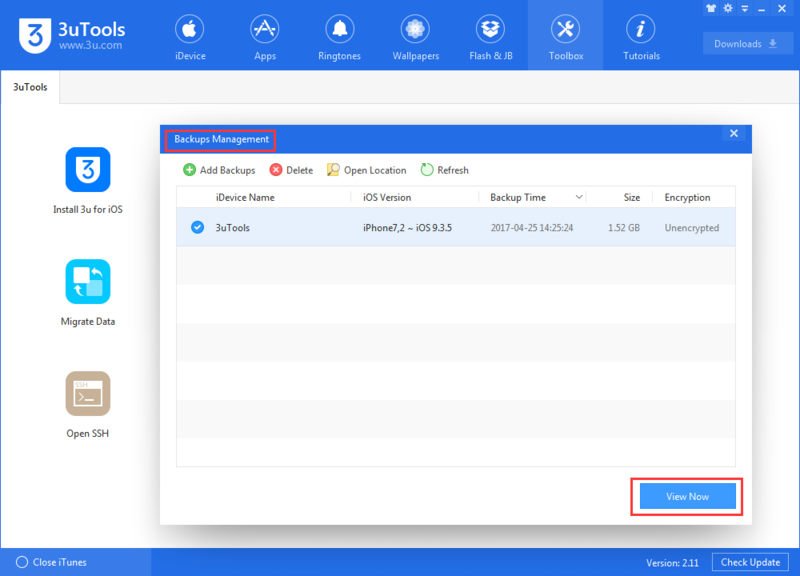 How to Use 3uTools to Back Up Your iPhone Before Installing latest iOS？ How to Back Up Your iPhone Before Installing iOS 10.3? How to Restore Accidentally Deleted Photos From iPhone?